Mr. Sigman concentrates his practice in the areas of family, employment, and tree and neighbor law. Mr. Sigman is trained in collaborative divorce and divorce mediation. He represents divorcing individuals in litigation and negotiation and serves as a mediator for divorcing couples. He also prepares Qualified Domestic Relations Orders (QDROs) and Court Orders Acceptable for Processing (COAPs) dividing the pensions, 401(k)s and of private, federal, and military employees upon divorce. Mr. Sigman also defends and prosecutes domestic violence disputes, including peace order and protective order proceedings. Mr. Sigman represents property owners in tree related disputes with neighbors, contractors, homeowners associations, and public utilities. He has recovered significant financial awards and settlements on behalf of homeowners whose trees have been damaged or destroyed by neighbors and utility contractors. Mr. Sigman is also available to mediate disputes between neighbors regarding trees and other property issues. He serves as the Executive Director of the City of Takoma Park Tree Commission, and advises the Takoma Park government regarding the implementation of its tree preservation ordinance. Mr. Sigman advises employers regarding compliance with federal, state, and local law, drafts personnel manuals, and defends employers against discrimination, wage payment and collection, and unemployment claims. He represents private and state, local, and federal employees regarding workplace discrimination, disciplinary actions, Law Enforcement Officers’ Bill of Rights (LEOBR) proceedings, unemployment appeals, security clearance matters, and the negotiation of severance agreements. Mr. Sigman is trained in civil collaborative dispute resolution and is available to mediate employment disputes. Mr. Sigman litigates appeals before the Circuit Courts for Montgomery and Prince George’s County, Maryland, and the Court of Appeals and Court of Special Appeals of Maryland. 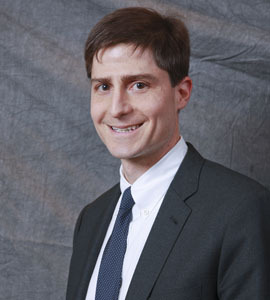 His appellate experience includes cases involving the modification of child support, challenges to local government authority, landlord-tenant disputes, tree law, and the termination of a police officer. Prior to joining Silber & Perlman, P.A., as an Associate in 2000, Mr. Sigman served as a law clerk for The Honorable Richard J. Clark of the Circuit Court for Charles County, Maryland, and then for The Honorable Peter B. Krauser of the Court of Special Appeals of Maryland. Mr. Sigman became a partner in the firm in 2006. Board of Directors, Prince George’s County Collaborative Professionals, Inc. Note, Medtronic, Inc. v. Lohr: Bad Medicine for Manufacturers of Unproven Medical Devices, 47 CATH. U. L. REV. 721 (1998). The Family and Medical Leave Act; What Washington Parents Need to Know, Washington Parent, May 2010. Gender Identity and Sexual Orientation Discrimination in the Workplace: A Practical Guide, BNA, 2014 (Maryland state law reviewer).